I used to read the New Yorker. When time was tight in grad school, I just read the cartoons and admired the illustrations of cultural happenings that graced the calendar. Then the kids started siphoning away my recreational money and I couldn’t justify the cost. I felt guilty I wasn’t consuming more of content. But, when I need a taste of home, it is a good place to turn for some intelligent sarcasm. 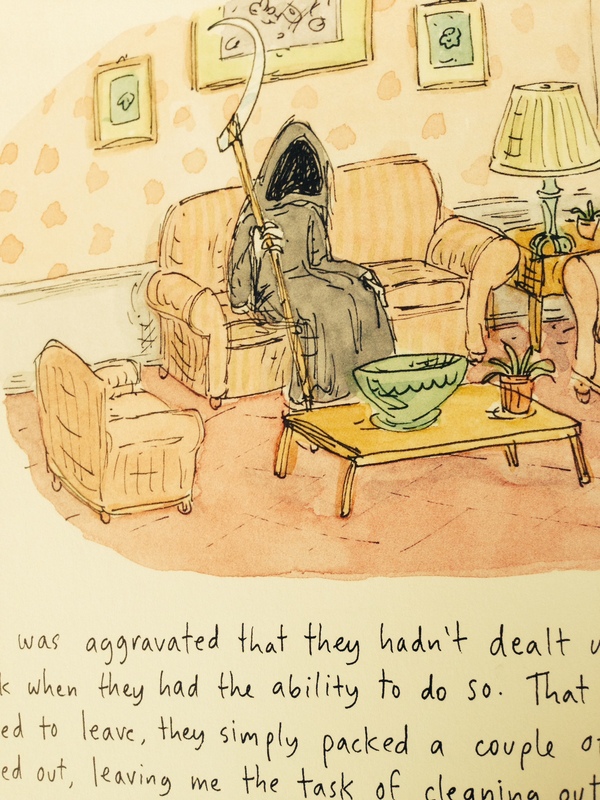 So it was with great interest that I plucked Roz Chast’s (2014) memoir Can’t We Talk About Something More Pleasant? off the new non-fiction shelf at my local library. (You can see pages from the book on the New Yorker sketchbook website.) To be honest, Chast wasn’t always my favorite, but she has been a New Yorker staple for nearly as long as I’ve been alive so I was willing to give her a chance. I’m glad I did. Traveling to Chast’s childhood apartment with her took me back to the Brooklyn my mother grew up in, to the apartment her father was raised in and which his sister and her husband stayed for the rest of their lives. Her tours of potential “places” to house her parents reminded me of the nursing home in Queens where I routinely visited my great grandma Gussie and to the conversations transpiring in my family today, about aging and the end of life. 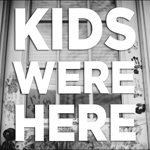 One of my favorite passages in the book includes a series of photographs Chast took of her parents’ cluttered closets and “work spaces,” overstuffed refrigerator shelves, and outdated toiletries (p. 109-118). They were one part family documentary, one part cultural time capsule – think bold graphic wallpaper, vintage kitchen appliances and packaging. They show the idiosyncratic patterns of behavior that make up our days and the messy traces those lives leave behind. Chast’s memoir offers a candid window (or mirror depending on your perspective) into life in the sandwich generation. I know one or two folks who would benefit from taking a look. My students know I am a huge fan of Topal & Gandini’s (1999) Beautiful Stuff! : Learning with Found Materials. It’s a title I evoke often in conversations about bringing meaning and extending the pedagogical purposes of using found materials in art education. Yesterday Cora had an authentic encounter with beautiful stuff when she spent time with her grandmother as she started some craft projects for holiday gifts with a friend. 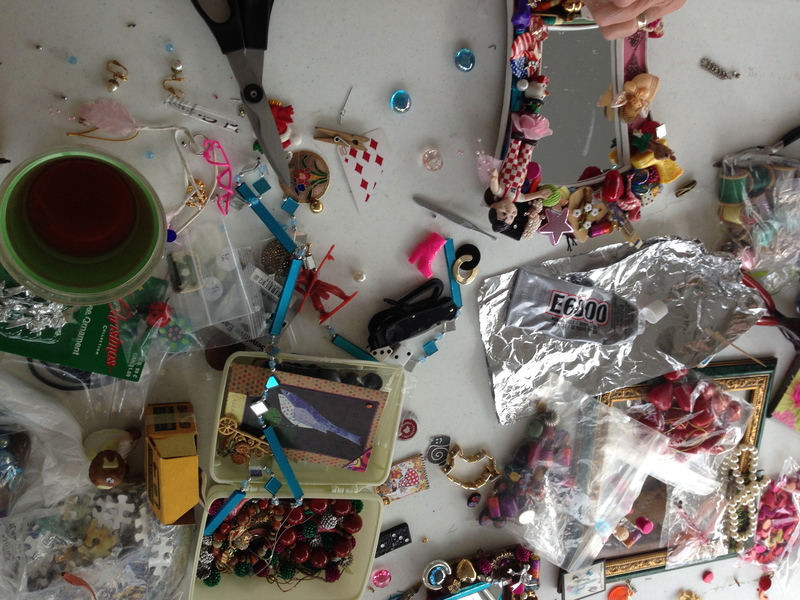 G-Ma and Ruth pulled out bags and bags of beads, baubles, doo-dads and thing-a-ma-bobs which they thoughtfully glued around the edges of decorative mirrors they found at the church sales they frequent. Cora bounced between their table and her toys, pulling things from their stash and integrating them into her play. It really was a beautiful thing. I’m just sorry I didn’t take more photos.